These empty church walls cry out for church decorations! The church sanctuary has 9-foot tall side walls before the ceiling starts it slopes up. In this case, we will use worship banners that are wide, but not too tall. Up on the stage area is a beautiful draped cross in the center and two large blank walls on the left and right. For this reason, we will put a large praise banner on one of these walls. Given that the right side wall is used for the projector screen, it will remain blank. The big left side wall, however, is empty… in other words, a big opportunity! There are also two smaller front walls on the outermost sides of the stage. These smaller walls, nonetheless, are the same 9′ height as the side walls. 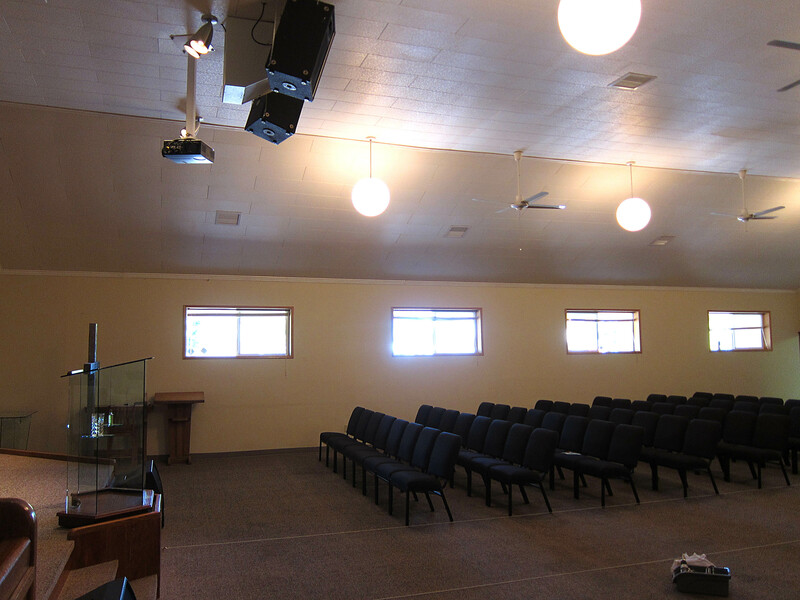 Empty walls = Worship Opportunity! 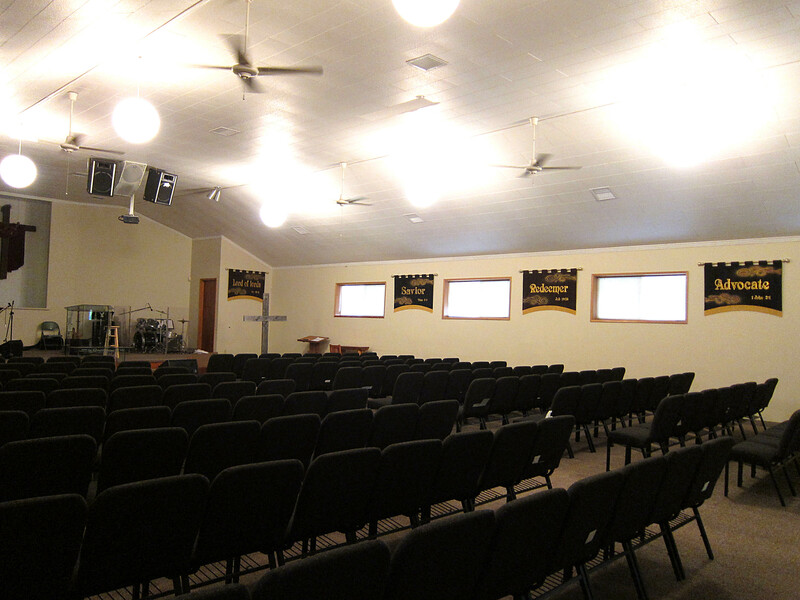 First and foremost, the large left side center front will be the focal point and will hold a wide worship banner. 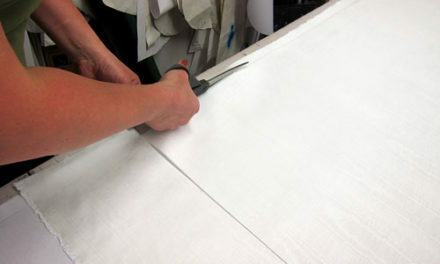 The final size of the “Jesus He is the…” banner will hang on the front blank wall. This Main Praise Banner is 7 feet wide and 4 feet tall. 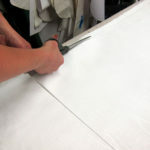 This will be large enough to create a focal point for all of the smaller banners! 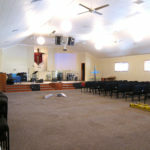 The smaller front side walls on either side of the stage along with the long side walls that form the main seating area will hold eight more worship banners. 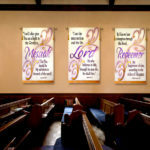 These 8 Church Banners are 4’ wide and 3’ tall. 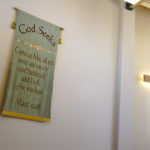 These Names of God banners can hang high enough on the 9’ walls so the fringe will only come down to 55 inches, certainly high enough to be out of the reach of small children. Remember that kids like to play with stuff! With this in mind, it’s very important to choose church decorations that are safe. A point often overlooked is to always secure praise banners and other decorations to ensure no one will be injured. Proclaim the names of Jesus. 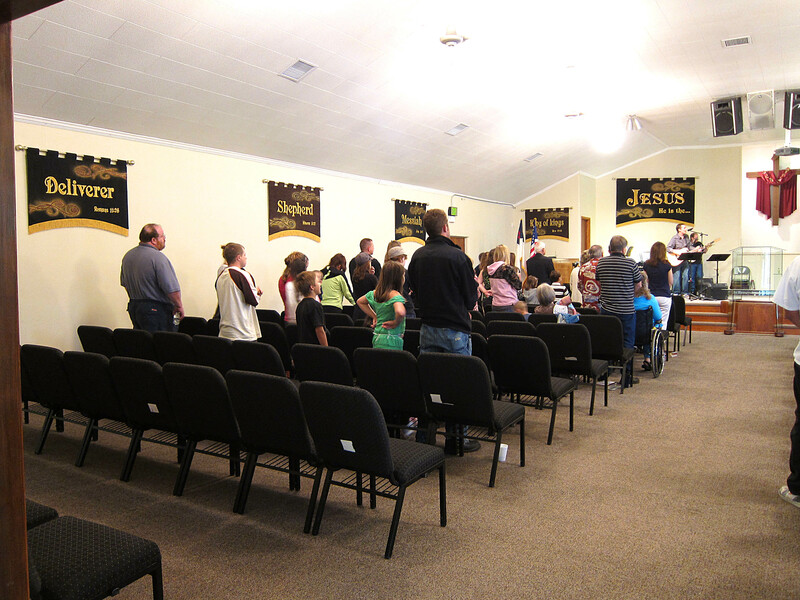 The direction we decided to go in with banners for this outreaching church was to proclaim the names of Jesus. Who He is. That He can be trusted to heal people and change their lives. So, with this in mind, we went with a large praise banner up front! “Messiah” John 1:41, and “Advocate” 1 John 2:1. 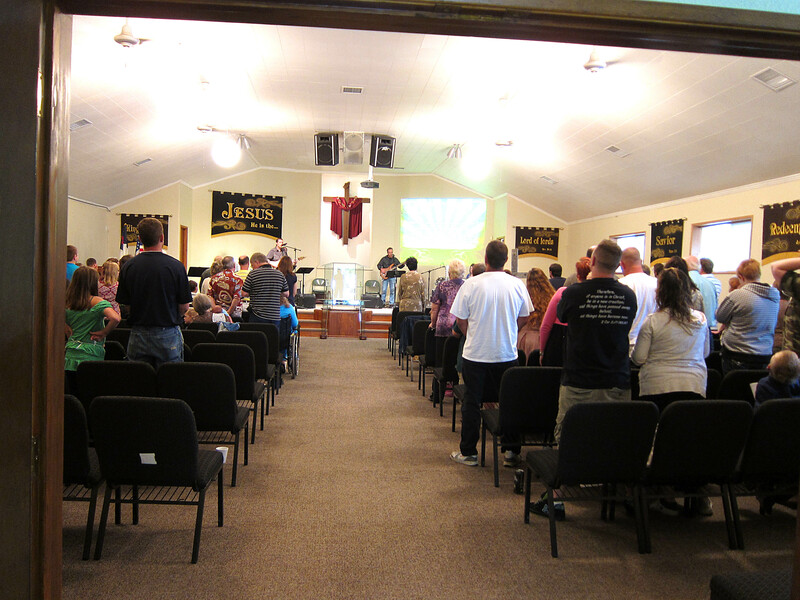 Blank walls offer great opportunity to elevate praise time in your sanctuary. We have had lots of positive feedback from the Pastor and his wife as well as many members, staff, and especially church members. 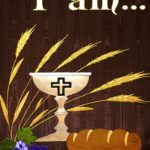 One of the main reasons to have church decorations is to help people to focus expressly on God and His attributes. On the positive side, blank walls offer a great opportunity to elevate praise time in your sanctuary. 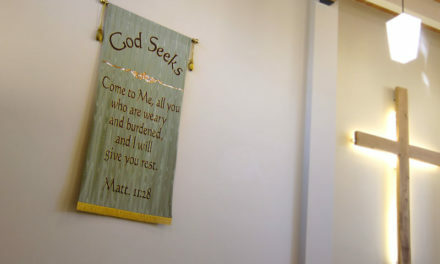 Colors, shapes, and sizes of your Christian Banners can be styled specifically to fit perfectly in your church. 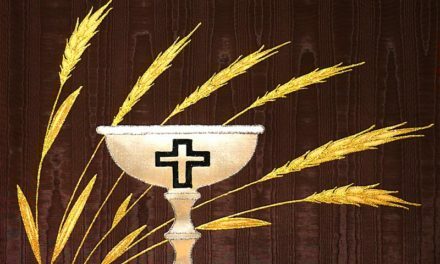 Speaking of colors… you might want to read our post on Seasons and Colors to learn about liturgical banner colors. My husband and I own a business named Christian Banners. 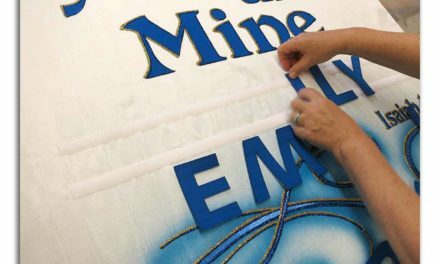 We have been helping people create custom worship banners for their church since 1995. 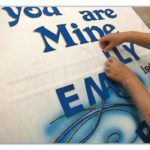 If you get a chance come see our online store at ChristianBanners.com. We would love to hear from you and please leave comments below. 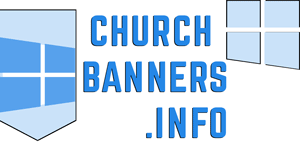 PreviousChurch Wedding Banners | Use these wedding banners year after year.